Matt Ryan is Manager of Customer Analytics, based out of our Wellesley office since August 2014. He and his team provide the data-driven insights that we deliver to our customers. And he has a wealth of knowledge and experience with Blume Global and the supply chain. Currently, I’m the manager of customer analytics at Blume Global, responsible for curating a clear representation of our customer, user and business operations, and turning it into quantifiable data that helps drive internal processes and decisions. You work in customer analytics and see the data-driven insights that Blume Global provides its customers on a daily basis. What things about the data and analytics of the Blume Digital Platform make Blume Global unique and valuable? The Blume Global network is one of the largest in the world and extends across the entire supply chain. The biggest differentiator I see with Blume Global versus the competition is the amount of data, the accuracy of the data and the many different sources of data. 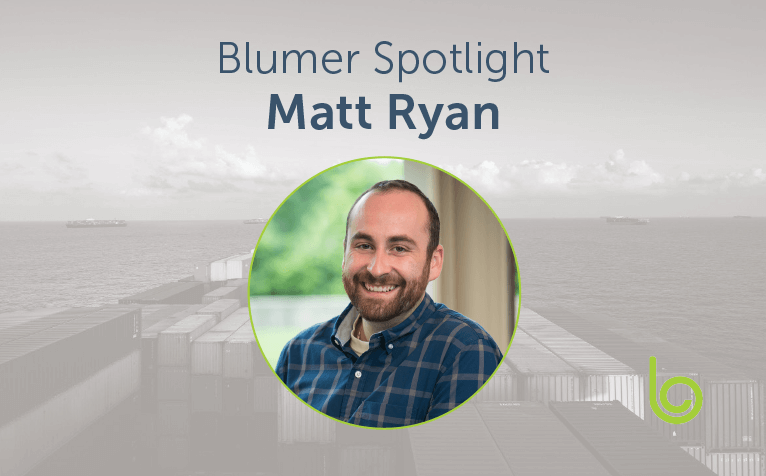 No matter what area of the supply chain, Blume Global is connected and providing valuable tools and insights. How does Blume Global use analytics to drive improvements for its customer experiences? Blume Global uses the most advanced tools and techniques to drive insights and learning across all aspects of the customer and user experience. 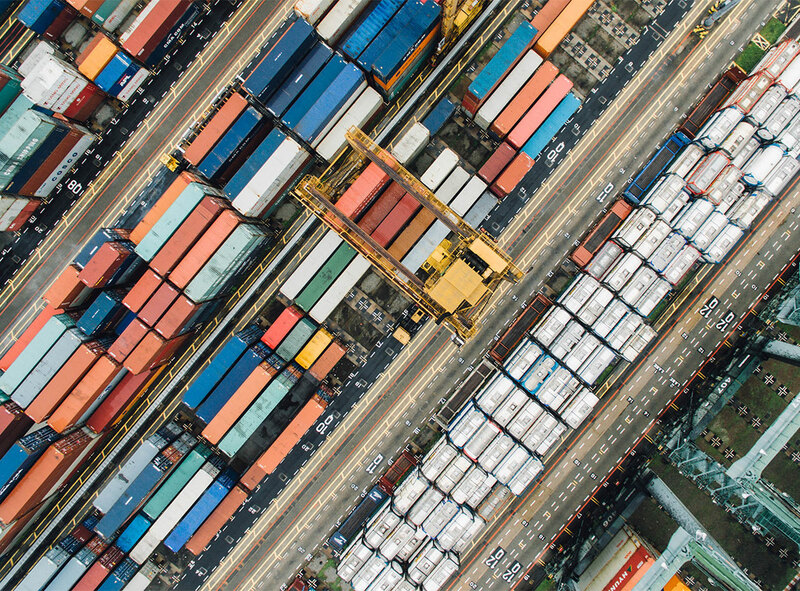 For example, we can spot trends across moves that slow down shipments, things like outgate issues in terminals or constraints in container bookings that slow down the process, and then work across our global supply chain network to make improvements or bring new capabilities into our solutions that deliver new value. You joined Blume Global in August 2014. Is there any story that encapsulates your experience working at Blume Global? About six months after I started at Blume Global, I went into a meeting looking to improve some processes around a key client account as a client services specialist. I ended up walking out of that meeting as the account manager for what was our biggest client at the time. Things happen fast here at Blume Global, and if you face everything head on with a positive attitude, there’s unlimited potential within the organization. What are the top 3 things you enjoy most about working in customer analytics for Blume Global? The people: Both internally and at our clients, the people that I get to work with on a day-to-day basis have had a major impact on my career. It’s truly one of the best things about working here. The Blume Global network: The Blume Global network continues to grow every day, which leads to ever-changing needs and requirements. This tests your skills every day and forces you to learn new techniques along the way. Creating powerful data visualizations: We are enabled to turn ideas and concepts into valuable tools that help drive internal decisions. What do you like about living in the state and specifically about the Greater Boston area? I have spent the majority of my life living in Massachusetts, except for a few years I spent in sunny Scottsdale, AZ working on my tan and golf game. I decided to move back to the cold (I am still not sure why!) a few years ago to be closer to my family. The history and the culture of the area is unmatched and something that I’ve always appreciated. It’s been a good time to be a Boston sports fan lately with recent championships from the Patriots and Red Sox. How do people in the Wellesley office watch and celebrate these teams? Being a sports fan in Boston has spoiled us over the last twenty years. Whether it’s hockey night out at Union Street to wearing our gear on Fridays, it seems like we always have a team in a big game. A few years back, one of my fellow team members and I decided to take a few days off from work and head out to the AFC championship game! On top of that, I’ve also been lucky enough to go to two Super Bowls (Seattle/Atlanta). I like to spend as much free time outside of work traveling as possible. Whether it’s a quick trip to New Hampshire for some hiking or an adventure to Middle Earth, there is no better way to learn about a culture than to experience it firsthand.